Rather than purchase a brand new cooktop, if you keep up with the maintenance and repairs you will significantly extend the life of your cooktop. 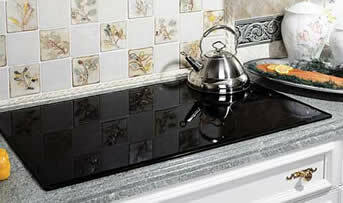 Your cooktop is a complex appliance that requires extensive training to repair. Trying to repair cooktops on your own can be dangerous and may cause damage to the unit. It doesn’t matter if your cooktop is gas or electric, Experts Appliance Repair in Ellicott City cannot only diagnose the problem but we can fix it right the first time! All of these issues can be repaired quickly and effectively. We will come to your home at your convenience and ready to repair your unit. If you smell gas anywhere in your home it is very important to call the gas company immediately. We have no problem coming out to repair your unit as soon as the gas company has checked for any leaks or other dangers. So, if you have any cook top repair or maintenance needs call us at (410) 715-7506 and we’ll schedule you an appointment as soon as possible!